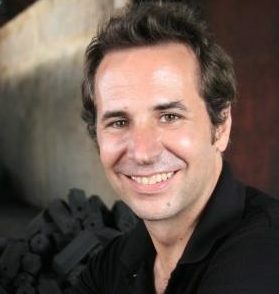 Carlo Figà Talamanca is the CEO and owner of Sustainable Green Fuel Enterprise (SGFE), an award winning social and environmental business, and chairman of the Green Business Committee of the European Chamber of Commerce in Cambodia. He obtained a Master’s Degree in Industrial Engineering from the University of Rome and he started his professional career in in the consulting business in 2002, joining the international technology transfer group INNOVA S.p.A. (ITALY). In 2005 he was appointed CEO of the USA branch of INNOVA, where he led international technology transfer projects between Europe, United States and Latin America. Since 2010, he has worked in Cambodia, where, in addition to managing and developing his own business, he also works as free-lance consultant for sustainable development in energy related projects.